​The Golden State Warriors don't have to do much this off-season. They defended their title from last year and have very few holes in their roster. So, it would make sense for them to try out ​younger, undrafted players. 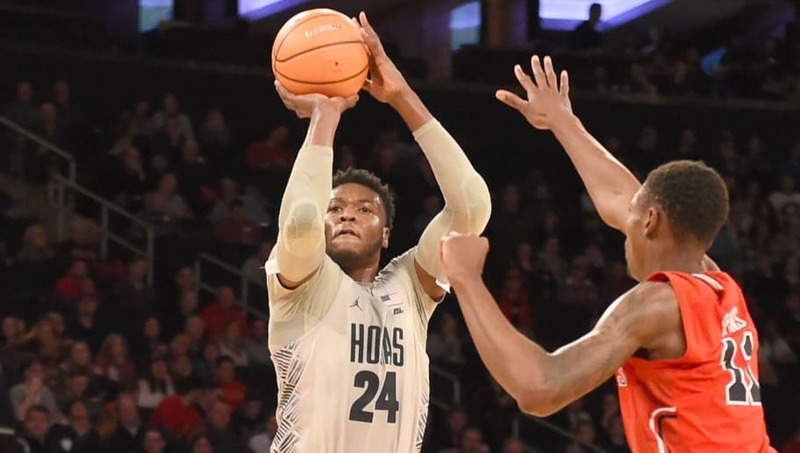 Sources: Undrafted Georgetown forward Marcus Derrickson has agreed to join the Golden State Warriors for summer league. Derrickson is a 6-7, 250-pound combo forward out of Georgetown. He's not much of an athlete, but can score both inside and outside and is a solid rebounder. Another Summer League add: Marcus Derrickson, PF 6'7" 250 lbs (Georgetown). This would seem to be a good match for both parties. After going undrafted, there's not much pressure on Derrickson and he doesn't have to do much to ​impress the Warriors. The Warriors don't need much on their roster, except for more muscle and rebounding down low. While they dominated teams in the playoffs, the Warriors were often out-rebounded and out-muscled down low. Derrickson is very strong and averaged 8.1 rebounds per game for the Hoyas. He can step in and help the Warriors in this department right now. Oh, and he shot 46 percent from three. For now, keep your eyes on the Summer League to see how Derrickson performs for the Dubs.